We had a great time entertaining 24 boys and girls for Charlie’s 9th birthday party! 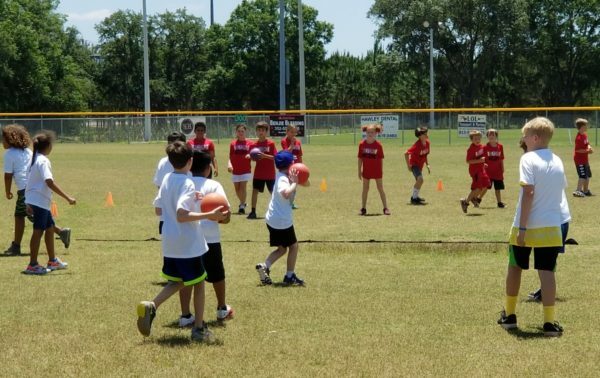 The event was held at a park in Land O Lakes and the theme was all about sports and “friendly” competition! We started out by breaking the group into 2 equal teams of boys and girls. Boundaries were set and instructions made clear then an awesome game of Dodgeball ensued! The team to win the best 3 out of 5 games, were deemed the champions! Next on the agenda were relay races. The kids picked their own teams of up to 5 friends and lined up behind a designated cone. The kids were challenged with 6 different races involving balance, tossing, spinning and eye-hand coordination. It was a blast watching the teammates work together for the win! 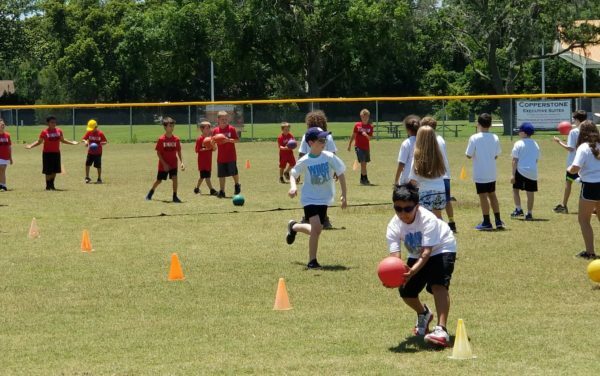 After a quick water break, the kids came back to the field which was set up for an unusual Kickball game. 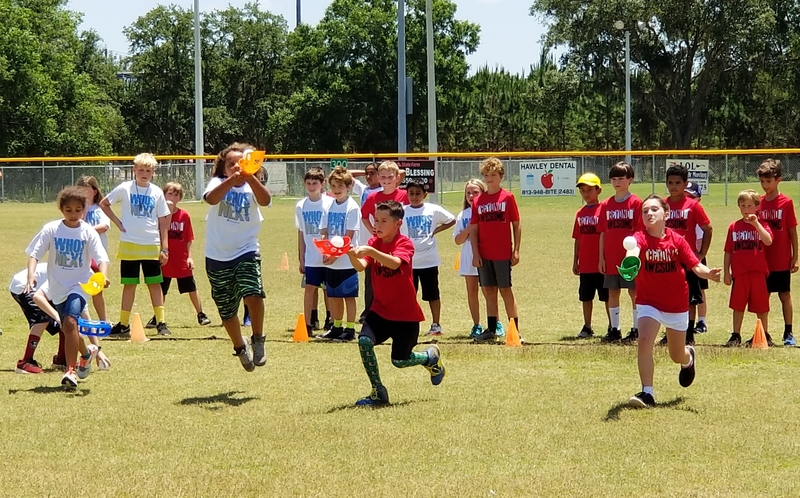 Kickers were lined up, fielders spread out, the Sports Fun coach was the ‘all-time’ pitcher and the rules of play were explained. This game required the fielders to use serious team work to get the runner out. Once the ball was kicked, the outfielders had to retrieve the ball and quickly throw it to 5 other teammates and then to the pitcher to stop the play. It took some practice but, wow, what a fantastic game of skill and sportsmanship the kids demonstrated! After 2 innings each, the game was over, the kids were sweaty and time was up for this Sports Fun birthday party. Charlie received an official Kickball as a gift from us. The kids all put their signature on the ball as a keepsake for Charlie for his memorable 9th birthday party!